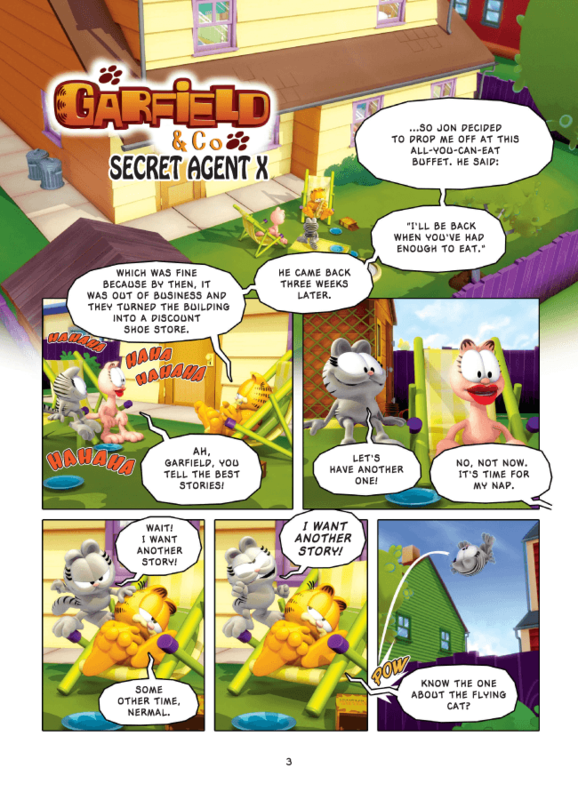 A spy known only as Agent X has arrived in the neighborhood, and is ruining Garfield’s life by telling anyone who will listen the details of all his secrets. 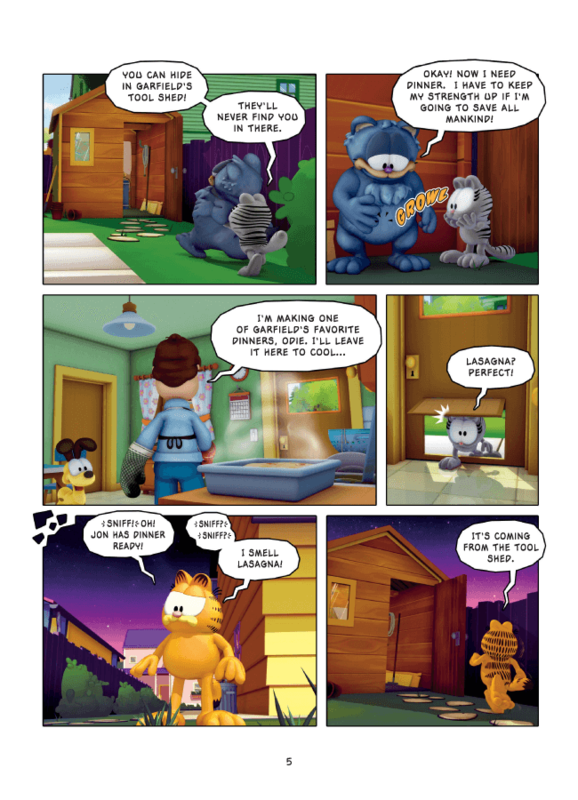 Garfield enlists the help of his mouse friend, Squeak, to get to the bottom of this. Who is Agent X, really? 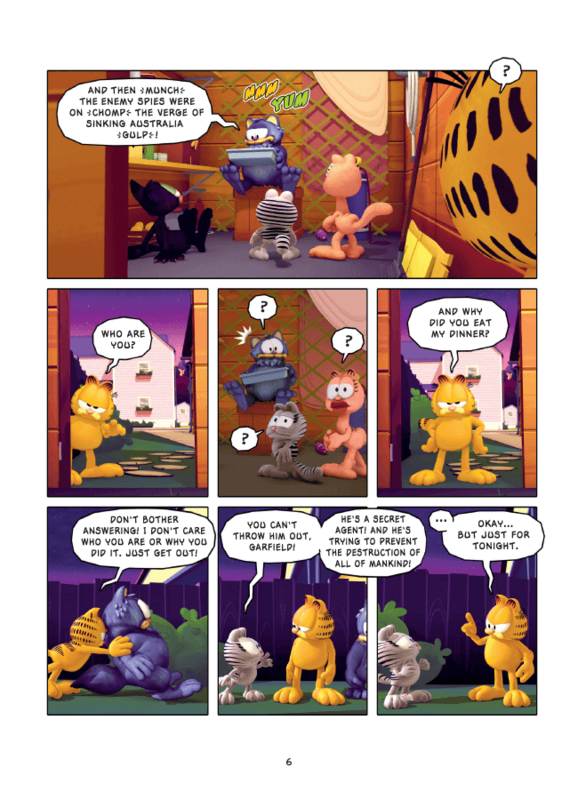 How does he know so much about Garfield? 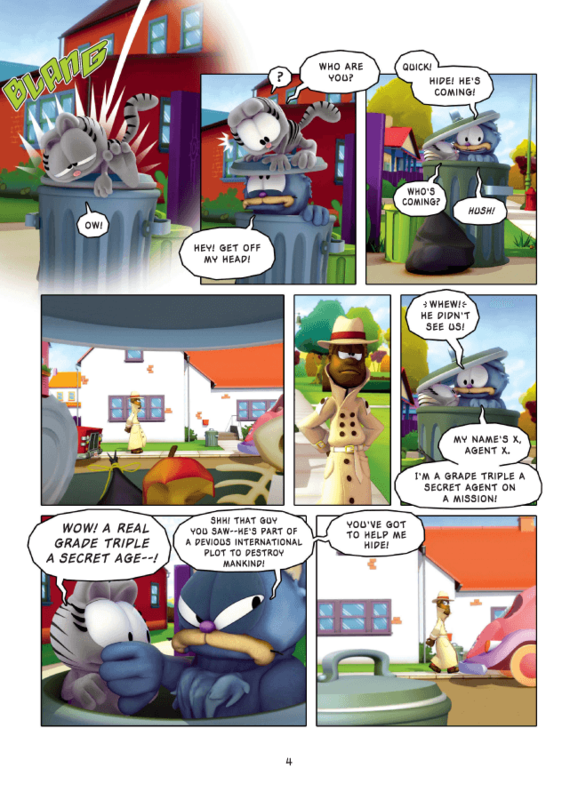 The truth may turn out to be more shocking than Garfield can imagine . . .